Honestly, these two patterns came into play because I was being lazy. I just wanted to sew a dress and didn't want to go down to the fabric dungeon. 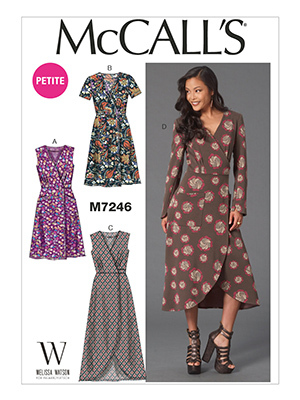 In a perfect world, the right thing to do would've been to find a dress pattern that would work with my fabric yardage. But I didn't and since I was thirsty to just sew, I sifted through the several patterns I have clipped together in my sewing room, just waiting for when I just want to sew. Purchased this ankara fabric from Fulton Fabrics in Bklyn. The fabric had a waxy coating, but after washing & drying the end result was a waxless light-weight cotton. With fabric yardage at a minimum, I had enough for the skirt portion (Version A), but not enough for the cross-over bodice of McCalls 7246. 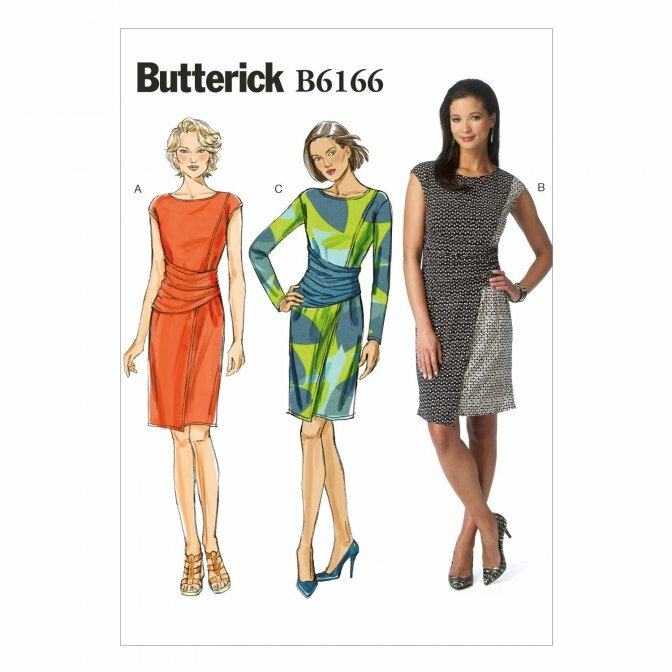 Used Butterick 6166 dress bodice by tracing off just the bodice section. Cut & basted the dress together and the dress was too big....uggh. Being the dart-ista that I am, I darted and increased the seam allowances. The dress has 2 sets of bodice darts, back waist darts, bust darts, deepened the neckline, narrowed the upper armhole depth, 1" center back seam and for the side seams I took in an additional 1/4". I did have to do the zipper over twice, but I persevered and all of my nipping & tucking yield a perfect fit. Since, I didn't line the dress, for the neckline and armholes, I used fold-over elastic to finish. The hemline was fused with heatn'bond... donedotcom. The dress was a comfortable wear for the few hours that I had it on. The real wearability test will be when I wear it to work. This dress will definitely be a remake now that I have all my fit issues in place. This will be a great summer dress and I'm sure that you will make more wonderful versions of this frankenpattern. It looks great and the fabric is TDF! Thank you. Yes, a perfect summer dress that is & will be perfect for NYC heat. Thank you. I agree the fabric was perfect for a simple silhouette. Great dress...now I know what to do with my ankara print fabric. Thanks for the inspiration. Thank you! I am really loving the ankara print trend. This looks amazing, and the fit is spot on! Another fabulous dress to add to your collection! Thank you! Darts make all the difference. Thank you! It was definitely a conversational piece. Gorgeous! The perfect summer dress.